The second happiest state of the US, Colorado is a state of gold miners, ranchers, farmers and ski bums. It has more than 1,000 rocky mountain peaks over 10,000 ft and 14,000 ft high. Colorado is known for the rich cultural heritage and adventurous places. People love to invest in Colorado real estate and spend their winter vacation here enjoying the skiing, food and getting involved in various other activities. Music festivals, exciting sports buffs, friendly residents make Colorado the best place to live in. On the education front, Colorado has the best colleges and universities for the brightest minds, it is popular for its diverse and competitive educative programs held on regular basis. As per the 2016 United State Census, the town’s population received a dramatic 10.17% increase as compared to the 2010 survey which itself states its popularity. People come from all over the world and invest in Colorado real estate to experience the beauty and adventure in the town. People interested in Colorado real estate will get many options and price points suitable for their requirements. The majority of the condos here are one bedroom with attached bathroom but there is also 2-3 bedroom houses for sale in Colorado with approx 743 sq. ft. and 1,248 sq. ft. area respectively. Moreover, there are many newly constructed houses for sale in Colorado. There are many variables that affect the pricing of the property which include covered/parking garage, the age of construction, skiing access and outdoor views and more. Chris Kopf follows a unique approach in finding the properties and providing housing solutions for the investors. Specialized in luxury property dealing, we hold a database of high-end Colorado homes for sale at the dream location of the visitors with an amazing view of mountains, fireplaces, pools, built-in door barbecues etc. Check out the popular Colorado real estate listings here. Providing Superior service to the Crested Butte real estate market. I really like this short story by Robert Hastings – Life is a journey. Enjoy every moment, every day... life is short and the older I get the shorter it gets... and one of the motivations for me to want to buy a second home in Crested Butte, and later move to Crested Butte full time from Dallas (instead of waiting...). Enjoy. One of the things that makes Crested Butte Special is Soul Train and we're so glad we got to be there again! Crested Butte KBUT Soul Train 2019 was a fantastic event. It's the greatest dance party of the year and the perfect opportunity to dress up and have fun! "The first moment we met Chris, my wife and I knew he was all about what is happening in real estate sales in Crested Butte. He knows his job, the marketplace and the innovative ways to market your home in today's electronic internet space. A real professional that understood us and our needs in handling a very successful sales transaction. " Chris is outstanding! We recently bought a second home in Crested Butte and Chris did a great job throughout the whole process. He has a thorough understanding of the market and the benefits and drawbacks of various locations. He was very patient with us as our preferences evolved throughout the search. He gave us valuable information on which to negotiate the purchase. He had great follow-up during the inspection/closing process (when we were not in town) and made sure all of the commitments made by the seller were properly completed. Chris was terrific to work with. The house sold faster then I ever expected! He was particularly helpful for this second home owner that couldn't always get there to take care of house issues. Thank you Chris!!! This was our first experience trying to purchase additional land with hopes of building a home. Chris was tremendously helpful throughout the entire process and his professionalism showed. 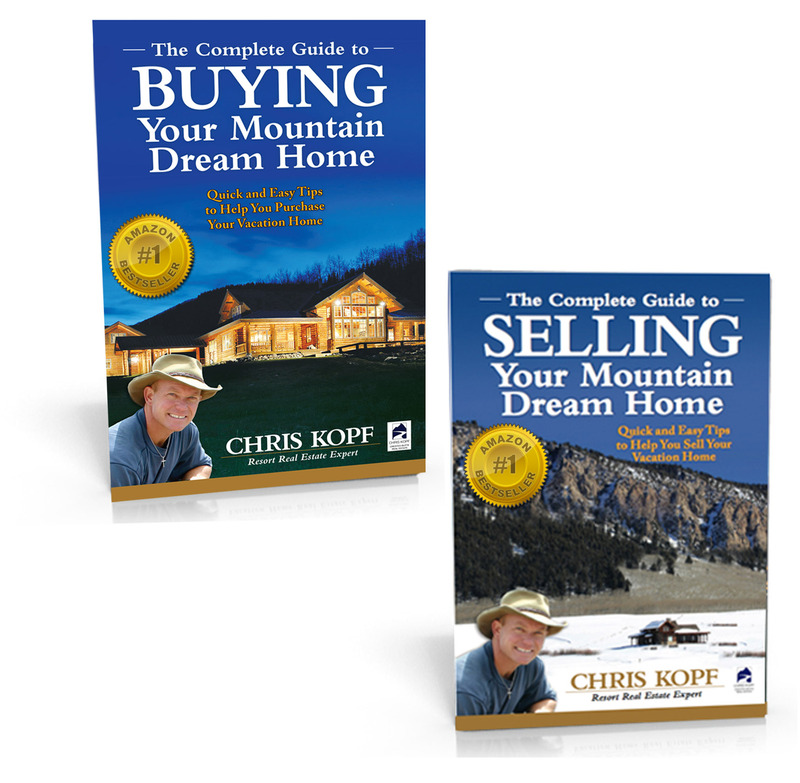 Chris Kopf is a wonderful person to work with on any real estate matter you may have in Crested Butte. He is extremely knowledgeable of all elements of the Crested Butte area. He helped us recently to buy a new second home in Skyland and the entire experience was first class under Chris's guidance. I would highly recommend him to anyone who has a real estate need in Crested Butte. The thought of a short sale was intimidating, but Chris made the experience very easy with lots of guidance from start to finish. I would highly recommend Chris for any Real Estate need buying or selling. Chris was quite helpful in showing us homes in the area we were interested in and contacted us when new listings were available. We not only consider him our realtor but also a friend. Chris' patience and persistence paid off for us in finding the right house for the right price. We would highly recommend Chris to any potential buyer. It was a great experience working with Chris, after showing me what I thought I wanted, he advised me of the pros and cons on the different condos and found one that I am thrilled with. This agent has a very strong knowledge of the local area. He was very helpful in screening properties for potential purchase. The data relating to real estate for sale on this web site comes in part from the Internet Data Exchange (IDX) program of Colorado Real Estate Network, Inc. (CREN), © Copyright 2016. All rights reserved. All data deemed reliable but not guaranteed and should be independently verified. This database record is provided subject to “limited license” rights. Duplication or reproduction is prohibited. Copyright © 2019 Chris Kopf Real Estate, Ltd.